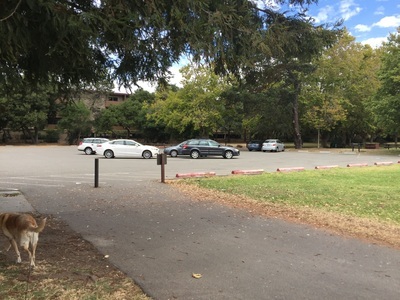 Parking: Free parking lot at the end of Otis Drive (the only paid spaces are approximately 5 metered spots closest to the tennis courts; all other spaces are free. 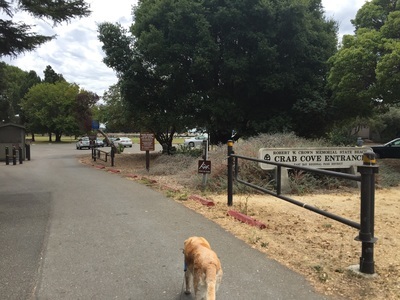 At the Crab Cove Visitor's center off of McKay Ave, parking is $5 per vehicle when kiosk is attended, but abundant free parking can usually be found along McKay Ave, or on Central Avenue if McKay is full. Hours: 8 A.M. to 8 P.M. for parking lot, walk-in allowed from 5AM-9PM. 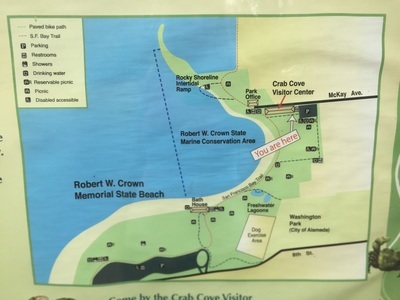 Private connecting trail into Crown Harbor is open sunrise to sunset. Best time to visit: Anytime. 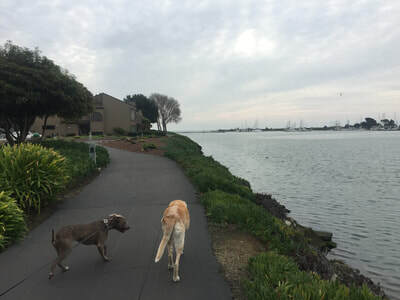 This walk is mostly in direct sunlight, but Alameda is often cooler and cloudier than most of the bay, so check the weather. You can usually walk here in summer and enjoy a nice breeze. Just make sure the ground isn’t too hot for your dog’s paws. 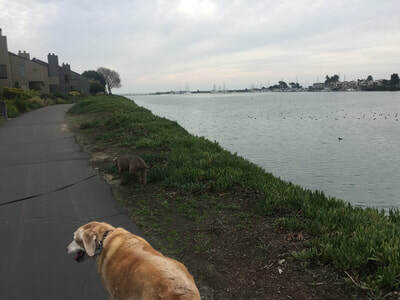 Description: This is a scenic, easy walk along the shoreline. 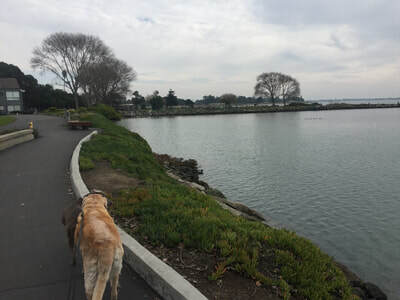 From McKay Ave, you can venture right or left along the shoreline SF Bay Trail and enjoy views of the water. 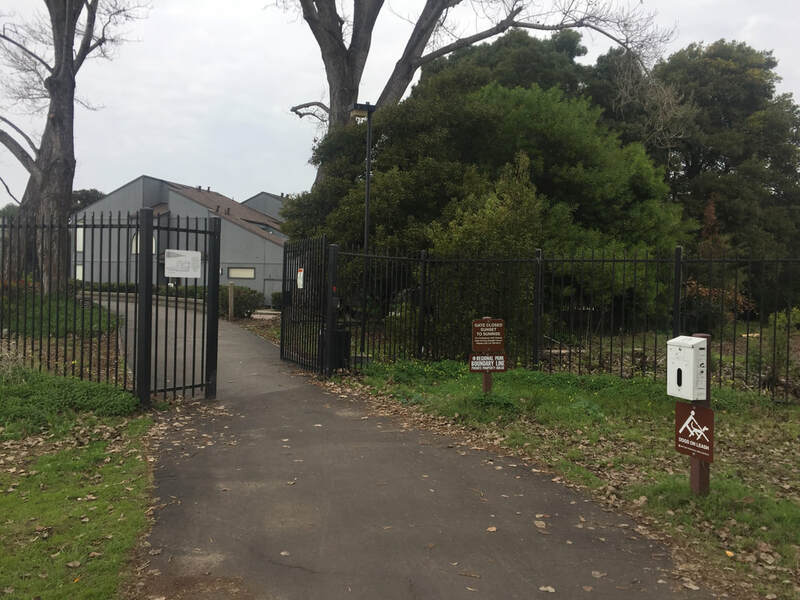 If you take the trail to the right, you will return shortly to Central Avenue. 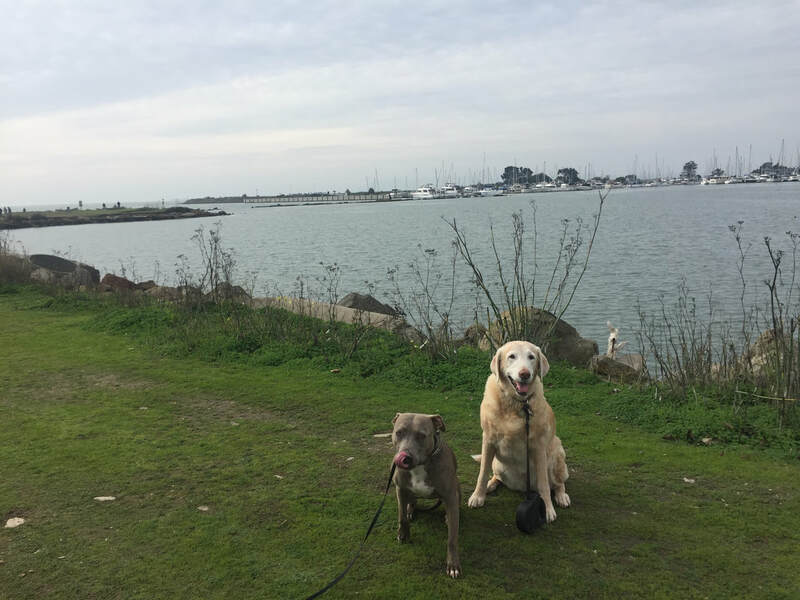 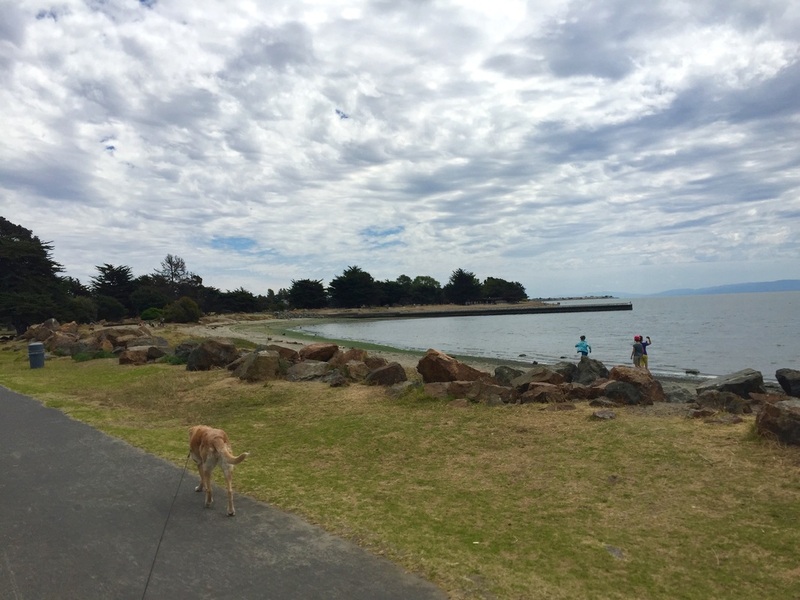 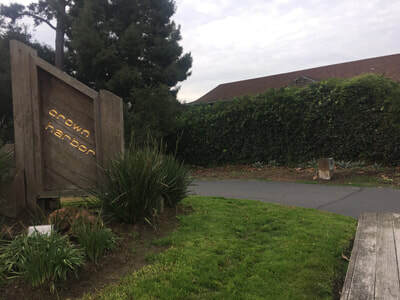 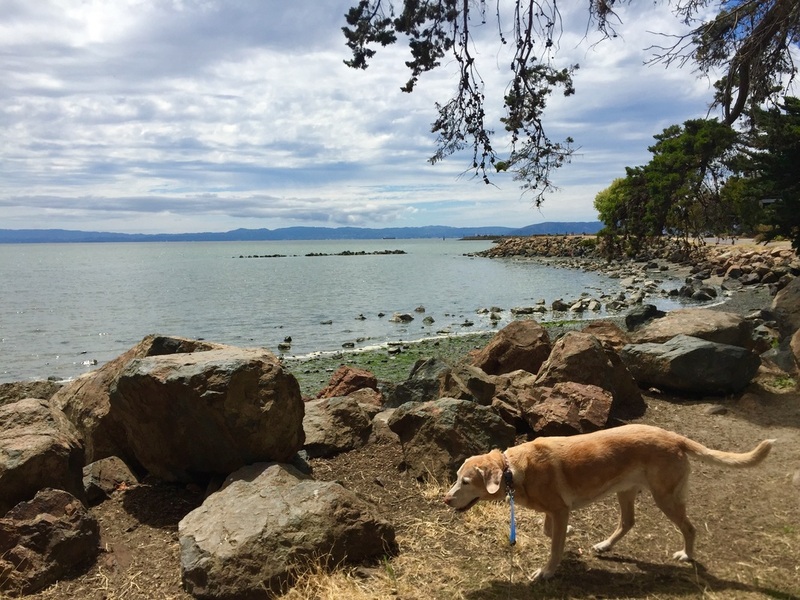 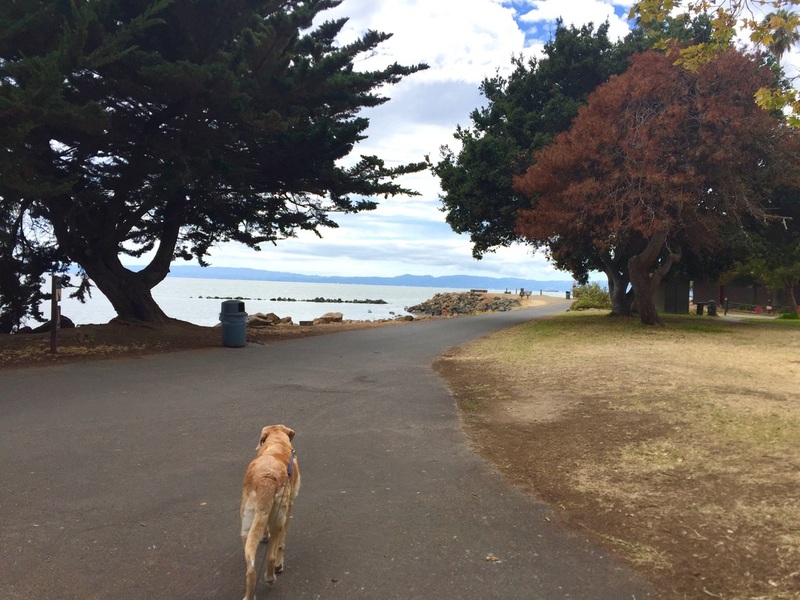 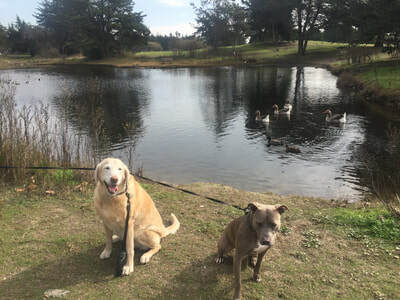 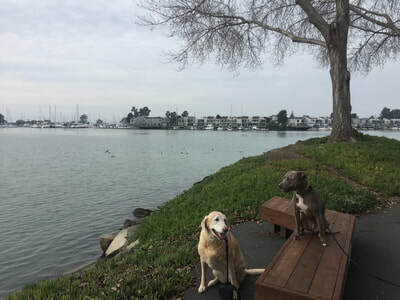 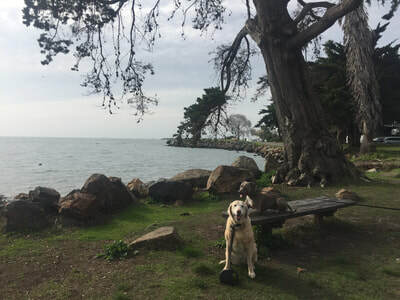 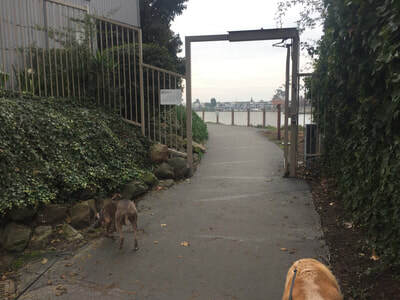 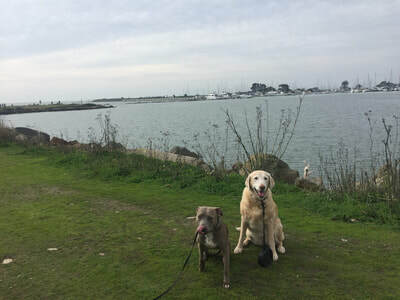 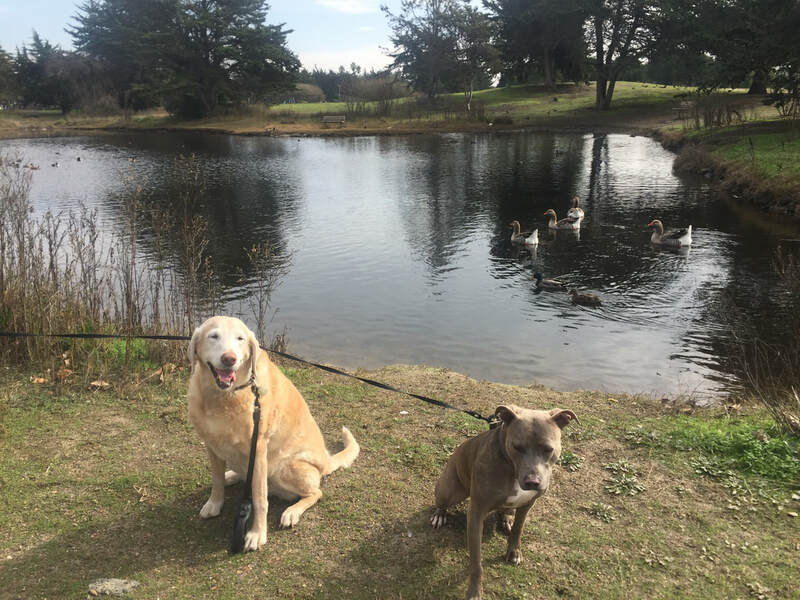 If you take the trail to the left, you will reach a dog park, Crown Memorial State Beach, and then the trail will end at the beach along Shoreline Drive. We also recently discovered a very cool little-known connecting trail. We started from the main parking lot at the end of Otis Drive, and walked right towards the visitor's center. Past the visitor's center you will come to a metal gate (open sunrise to sunset), which will take you along the shore into the Crown Harbor neighborhood. This area is reminiscent of the trail on Bayfarm Island, with beautiful views of the water and homes overlooking the cove. 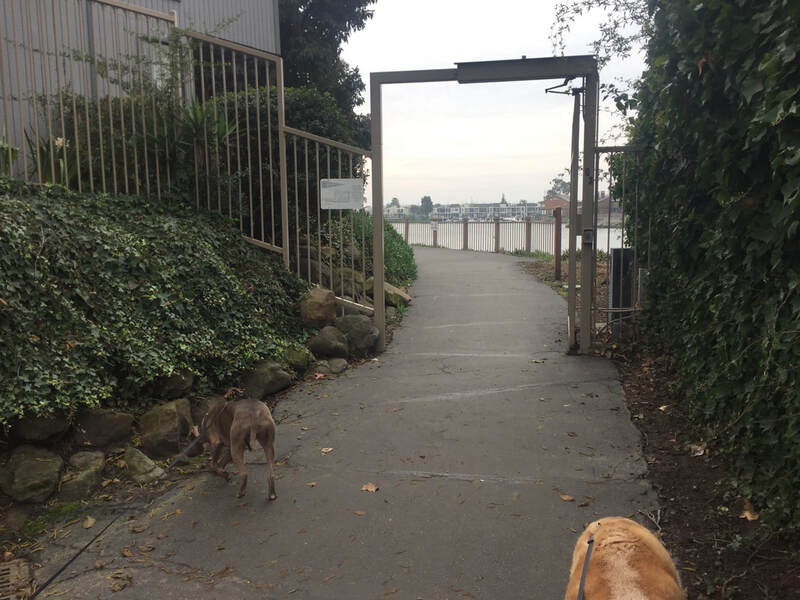 This trail ends on Central Avenue at Crown Drive and is a great extension to the SF Bay Trail that leads through Crab Cove.